You and Your Needs are our top priority. Our personal commitment to excellence in real estate is also our guarantee to you. We take our responsibility seriously – your property is always among your largest of financial assets. We have successfully represented both seller and buyer clients on properties of all types and at every price range – including $10M+ luxury estates. See more details about one of our latest luxury listings by visiting Experience Makena. 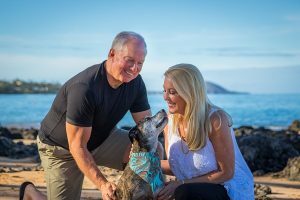 Pacific Business Journal recently recognized Dale and Gigi for participating in the 11th largest residential sale in the State of Hawaii in 2017. Our Goal: Help you achieve YOUR GOALS in the most efficient, professional manner possible. See what our clients say about us and our services on the Testimonials and the Video Gallery pages. If you are considering Selling your property, we will create a custom marketing plan for your property to help you get the maximum return on one of your most significant assets. Our Action Plan is designed to sell your home for the most money, in the fastest amount of time possible, with the most hassle-free experience, to get you where you want to go on your timetable. Please visit the “Our Selling Strategy” page for a detailed look at our comprehensive marketing outline and Action Plan. You and Your Needs are our top priority. If you are considering Buying Maui real estate, we will help you find the Maui property best suited to your needs and secure the best deal on the property of your choice. Set up your personalized search here and call us for a consultation at any time. Let us put our skills to work for YOU!